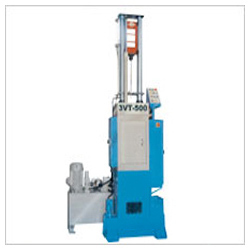 We offer wide range of Industrial Machines. These are of high performance but low cost proven machines. 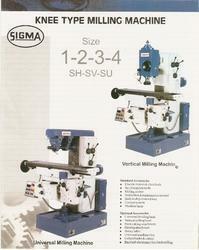 'SIGMA' Knee type Horizontal / Vertical / Universal Milling Machine are available in Size 1 - 2 - 3 - 4. Table-slide with dovetail and cross-slide and knee-slide having flat guide-ways with taper wedges provide strength to withstand heavy cutting forces. We offer Universal Tool and Cutter Grinder to our clients. The grinding machine basically designed for sharpening and recondition wide range of high speed and carbide tipped tolls as side & face milling cutters, cylindrical cutters, angle cutters, convex & concave cutters, gear hobs, end mills, shell mills reamers, drills, taps etc. 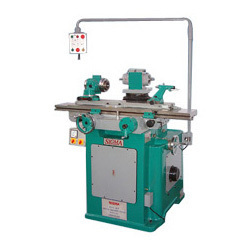 Centering and Plunge Facing Machines are Fully Automatic and meant for the engineering industries. These machines are most suitable for centering, plunge facing, chamfering and external turning of the two ends simultaneously of the bar stock, such as camshafts, crankshafts, motor-shafts, universal joints, spiders etc. ensuring perfect alignment of centers, accurate lengths and true end. Center Drill Sizes: BSSS3 to BSSS6 or equivalent as per I.S.I. 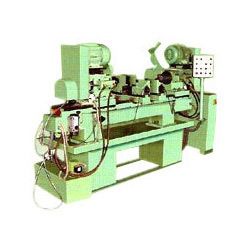 1] SPM Vertical Hydraulic Broaching Machine (Pull Type) is most suited for internal broaching operation. A vertical design saves costly floor space and eliminates sag of broach. 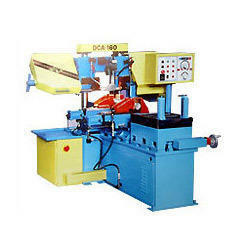 The machine is built of rigid fabricated bed, hard crome plated columns. You can use simple broaching fixture and get good accuracies. 3] V/U Notch Broaching Machine: We can also offer broaching machine for V/U notch required for impact testing purpose. Ask for the quotation for this machine. 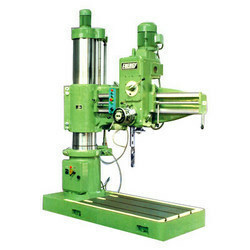 We offer Double Column Radial Drilling Machine that is made up of excellent quality materials that ensure high durability, tensile strength and resistivity to adverse conditions. 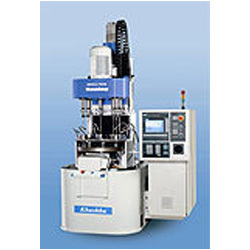 Moreover, Radial Drilling Machines are also loaded with all the advanced features.